Against the backdrop of notorious defense contractor Edward Snowden’s massive leak of classified documents last year, the Department of Homeland Security (DHS) recently published a report revealing the threat posed by malicious insiders who threaten the security of the sensitive information that US businesses rely on. The DHS report identified a significant increase of disgruntled or former employees sabotaging company networks. Lockheed Martin—an American global aerospace, defense, security and advanced technology company—indicates that investigations conducted by the Federal Bureau of Investigation reveal that 59 percent of employees admit to taking proprietary information upon termination. SAN FRANCISCO (AP) — The FBI has issued a nationwide alert to law enforcement agencies about a San Francisco social media consultant they consider armed and dangerous who is wanted on suspicion of possessing explosives. FBI spokesman Peter Lee said Sunday that 42-year-old Ryan Kelly Chamberlain II was last seen in a dark blue, hooded sweatshirt and jeans. Multiple agencies, including hazardous materials crews, searched Chamberlain’s apartment in San Francisco’s Russian Hill neighborhood on Saturday, blocking off the street to vehicle and pedestrian traffic for much of the day. 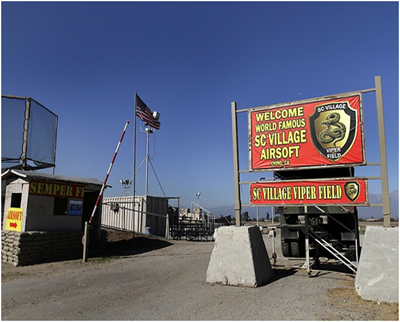 CHINO – Two of the four Inland Empire men arrested on terrorism-related charges this week may have trained at a paintball park featuring a simulation of the Pakistani town where al-Qaeda leader Osama bin Laden was killed. According to FBI documents released this week, Ralph Deleon, 23, of Ontario, and Miguel Alejandro Santana Vidriales, 21, of Upland, went to an as-yet-unidentified Corona-area paintball/airsoft facility with a confidential informant on Sept. 23. To prevent the rise of a “Second Order,” FBI undercover agents would become it. 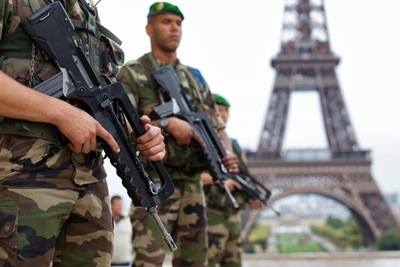 French soldiers on patrol near the Eiffel Tower in Paris. FRANCE and the United States have different notions of liberty, equality and fraternity, though the words look roughly the same in both languages. Methods of combating homegrown terrorism — another French word dating from 1789 — are also quite different, stemming from different histories, legal systems and conceptions of the state. The horrors in Toulouse — the murders of seven people in a bit more than a week by Mohammed Merah, a 23-year-old French citizen of Algerian-born parents who claimed membership in Al Qaeda — created a fierce debate in France about whether the police and security services failed to identify him in time. The police also failed to take him alive, making it harder to discover the true breadth of his contacts and of his path to terrorism. Mr. Merah clearly slipped through the French net, which relies heavily on human intelligence and judgment. The French are asking why, and whether he might have been more easily identified by the more automated — and expensive — American-style reliance on computerized monitoring of phone calls and the Internet. That question is unanswerable, of course. But the differences between the two countries and their methods are considerable. “In the United States, it is the system that counts; in France, it is the men,” says Marc Trévidic, a senior investigating magistrate for terrorism in France. Napolitano said her department is “conducting a lot of outreach” to Jewish communities across the country to address any concerns after car bombs in two countries overseas targeted Israeli officials and Iranian nationals set off explosions in Thailand. U.S. Marines dressed in protective suits enter the closed Russell Senate Office Building on Capitol Hill in February, 2004, to retreive mail that could be contaminated by ricin. 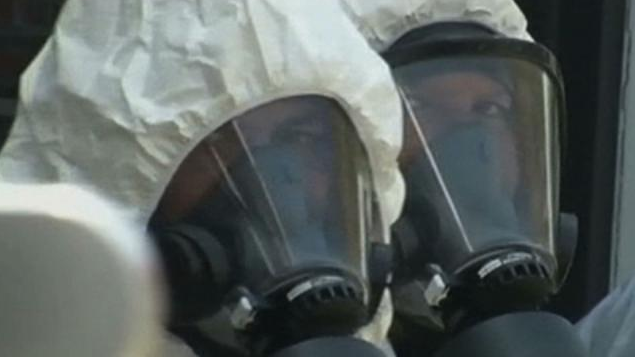 Ricin, the deadly toxin, was to be spread on roads in major cities, according to federal affidavits. The alleged plotters, four Georgia militiamen, also sought explosives. ‘Some people gotta die’ to save the Constitution, an affidavit quoted one as saying. Federal officials have charged four suspected members of a fringe Georgia militia with plotting to purchase explosives and produce the deadly toxin ricin in order to attack government officials as well as populated urban areas. The four men arrested Monday were secretly recorded by an FBI informant as they discussed plans to obtain weapons and ricin with the intent to kill Justice Department officials and federal judges as well as agents with the Internal Revenue Service (IRS) and the Bureau of Alcohol, Tobacco, Firearms, and Explosives (ATF). They also plotted to spread ricin, a highly toxic substance made from castor beans, across Washington, Atlanta, New Orleans, Jacksonville, Fla., and other cities, according to federal affidavits filed Tuesday. Think you know the US? Take our geography quiz. The four men taken into federal custody were Frederick Thomas, Dan Roberts, Ray H. Adams, and Samuel J. Crump, all in their 60s or 70s. They appeared before a US magistrate in Gainesville, Ga. Wednesday afternoon. “There’s no way for us, as militiamen, to save this country, to save Georgia, without doing something that’s highly illegal: murder,” the affidavit quotes Mr. Thomas as saying during a meeting in March. Mr. Adams had worked as a lab technician at the USDA’s Agricultural Research Service. Mr. Crump once did maintenance work for the Centers for Disease Control. The two are accused of trying to obtain ricin for use as a weapon by spreading it on roads and having it dispersed by vehicles traveling along selected routes. 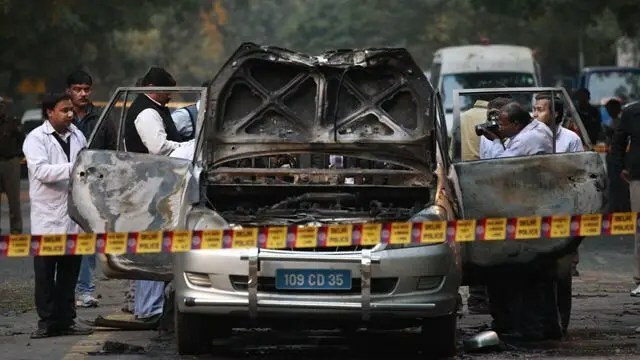 According to affidavits, the plot also included discussions about mass destruction and numerous casualties resulting from large explosive devices. 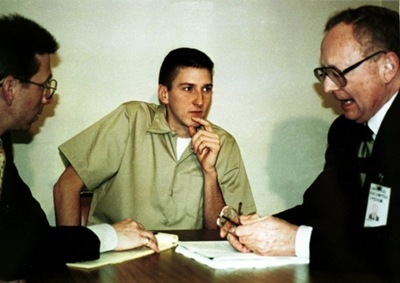 The arrests come at a time when militias and other home-grown antigovernment radicals declined as a threat in the years following the 1995 Oklahoma City bombing. For the most part, domestic terror plots since the attacks of Sept. 11, 2001, have been connected to radical Islam. “While many are focused on the threat posed by international violent extremists, this case demonstrates that we must also remain vigilant in protecting our country from citizens within our own borders who threaten our safety and security,” US Attorney Sally Quillian Yates said in a written statement announcing the arrests. None of the four men charged in the case have criminal records except for driving offenses.